One man’s experience is nothing if it stands alone. Steven Weinberg’s article discussing Einstein’s mistakes in last month’s Physics Today was characteristically measured and respectful. But to anyone interested in the zig-zag progress of science—its diligent and unceasing course corrections—a more dramatic and revealing article about Einstein had already appeared in the same journal last September. This was Daniel Kennefick’s account of Einstein’s first experience of anonymous peer review. It was an ordeal he had never been exposed to in Europe, and when he encountered it in America the great man didn’t like it one bit. The unprecedented situation arose in 1936 when Einstein sent a paper to The Physical Review. Kennefick explains that at that time the Review was rapidly becoming “the world’s premier journal of physics”, and editor John Tate took an austere view of his responsibilities. Nobody—not even the most distinguished contributor—could expect to be favored or indulged. When a paper on gravitational waves arrived from Einstein, Tate invited a reviewer to comment; the reviewer’s anonymous comments were damaging; and Einstein, “in high dudgeon”, refused to publish in The Physical Review ever again. The paper and its details are here of little concern. Einstein shared authorship with another physicist named Nathan Rosen, and together they suggested that gravitational waves, which by the 1930s most scientists thought must exist in principle, were an illusion. But Percy Robertson, the reviewer invited to comment on their paper, was not convinced. Well, this is a job! (wrote Robertson to the editor.) If Einstein and Rosen can establish their case, this would constitute a most important criticism of the general theory of relativity. But I have gone over the whole thing with a fine-tooth comb (mainly for the good of my soul! ), and can’t for the life of me see that they have established it. We (Mr Rosen and I) had sent you our manuscript for publication and had not authorized you to show it to specialists before it is printed. I see no reason to address the—in any case erroneous—comments of your anonymous expert. On the basis of this incident I prefer to publish the paper elsewhere. This he proceeded to do in 1937 in the Journal of the Franklin Institute—but not before taking on board the reviewer’s “erroneous” corrections (having been later persuaded that they were needed), and radically altering both his argument and its conclusions. The two heads of Einstein and Rosen may or may not have been better than one in arriving at their original defective formulation. But three heads were certainly better than two in establishing where Einstein and Rosen went wrong, and the whole episode is a good example of the process of intellectual winnowing, by other minds, through which scientific error is detected and truth established—little by little, step by step, on the path to eventual consensus. Mistakes in science bring howls of glee from its enemies—some of whom evidently see science as a mistake in itself. A school of critics dubbed The New Cynics by Susan Haack believe scientific work to be riddled with error, if not downright absurdity. Their prophet was the famous Paul Feyerabend. From his pad in Berkeley he promised to free us from “the tyranny of… such abstract concepts as ‘truth’, ‘reality’, and ‘objectivity’’ and went so far as to claim that scientists were little better than practitioners of voodoo. In Haack’s Defending Science Within Reason (2003) this admirable philosopher of science administers a dose of intellectual sanity and moderation, steering a course between The New Cynics and The Old Deferentialists (always down on their knees in awe before scientific achievements). She plainly feels it is time to move on, and that the stormy 20th-century disputes about verification versus falsification, or about induction versus deduction—along with the competing extravagances of academic logicians on the one hand and politically driven sociologists of science on the other—should be expeditiously relegated to the archives. Taking her stand as a “critical common-sensist” Haack calls for compromise and pragmatism. Like John Dewey she is more fond of the notion of inquiry than of truth, and although Dewey’s “warranted assertability” does not make a direct appearance in the argument (or not that I noticed), she gives an entire chapter to the concept of “warrant” itself. Common-sensism also maintains that “scientific inquiry is continuous with the most ordinary of everyday empirical inquiry”, and a range of opinion is marshalled to support this view. …scientific thinking differs from everyday thinking not only in the concepts used but in what constitutes a satisfactory explanation: common sense thinking about motion, for example, is not concerned with the spelling-out in detail of the relationships between terms such as force and velocity — each involving strictly defined and quite difficult concepts — but can be satisfied with vague statements. A further difference is the purpose behind scientific thinking and the thinking of everyday life. In everyday life one is primarily concerned with usefulness, whereas science is concerned with a rather abstract understanding. Doing science (in contrast to doing cooking) requires one to remove oneself from one’s personal experience and to try to understand phenomena not directly affecting one’s day-to-day life, one’s personal constructs. In everyday life one requires no construct as to why bodies fall when dropped or why children may or may not resemble their parents; it is sufficient that they do so. Common sense provides no more than some of the raw material required for scientific thinking. Regarding Wolpert’s use of Sherlock Holmes and Doctor Watson, we might pause and note a curious feature of their altercation. When Sherlock Holmes says irritably that “If we went round the moon it would not make a pennyworth of difference to me or my work” it doesn’t take much imagination to see that as it stands, this statement is clearly false. If the earth were circling a cold and dead planetary object, and not the sun, it would make an enormous difference in fact; Holmes would have to lay in firewood till the end of time. What would not however make the smallest difference to Holmes and his work is the mere belief that the earth and its inhabitants revolve around the moon. For the consequences of men and women having false beliefs are often negligible, whereas the consequences of different factual conditions in the external world may be immense. Numerous cultures have held numerous odd beliefs about terrestrial and planetary motion, but except for awkward mavericks like Copernicus and Galileo such notions have had no consequence in their lives whatever. I find it hard to think the issue would be seriously in doubt. Despite their most powerful spells, despite their most deeply held beliefs, the whole bunch would be swept away in one mighty epistemological stroke. Much weighty stuff has been written about the difficulties of drawing a clear line between science and superstition, most of it written by philosophers. For the most part, however, scientists themselves have no difficulty telling what is and what isn’t science. In Alan Cromer’s words in his book Uncommon Sense, “parity violation is, but extrasensory perception is not. Cosmology is, but channelling is not. Quantum mechanics is, but chiropractic is not.” Yet for some reason philosophers of science find this distinction much harder to make. The Train Test can be seen as a rough and ready contribution to solving this “demarcation dispute.” Anyone can see that for Professor Feyerabend to save himself he would need to draw a clear and decisive line between, on the one hand, the unempirical voodoo prophecy he has publicly endorsed, and a scientific prediction on the other, fortified by Newtonian mechanics, that dooms him to instant annihilation. How that clear and decisive line should be defined may safely be left to philosophers. They enjoy playing with words, grammar, and logical puzzles. Scientists themselves are less interested in such things. For millions of years variations of the Train Test eliminated cognitive delusion among living things. The ant that thought ant-lions were friendly didn’t last long. The calf that mistook an approaching tiger for a cow was eaten. The herring that believed a shark was just a big herring like itself ended up inside it. Only with the rise of the vast protective apparatus of human culture has it been possible for one animal, homo sapiens, to entertain entirely false ideas about its surroundings and not be punished. There is of course a lot of truth in Haack’s view that science and ordinary inquiry share much in common, and that most day-to-day human thinking seeks to correct error. But cultures also indulge and accommodate cognitive nonsense by the ton—especially primitive cultures—and for the most part this has no observable social effect. If you secretly believe the moon is made of cheese and inhabited by little green men, no serious price need be paid. No punishment is ordained for such ideas, nor will holding them shorten your life. All over the world millions of people believe sillier things and survive. Scientists differ from the generality of mankind in that combating cognitive nonsense is both their special interest and their skill. One aspect of this Darwinian culling is anonymous peer review as conducted by scientific journals—the process that caught Einstein and Rosen in a mistake. What happens when the consensus is wrong? Put most simply, work continues until the mistake is corrected. In any case, as Steven Weinberg says of physics in Facing Up: Science and its Cultural Adversaries (2001), even when there are shaky elements in the generally-agreed-upon picture of things, the consensus in the last hundred years “has never been simply wrong.” No consensus in the physics community “has ever been simply a mistake, in the way that in earlier centuries you might say, for example, that the theory of caloric or phlogiston was a mistake.” The consensus provides a good initial approximation; it is then adjusted to include necessary corrections researchers had not properly understood before. I think we scientists need make no apologies. It seems to me that our science is a good model for intellectual activity. We believe in an objective truth that can be known, and at the same time we are always willing to reconsider, as we may be forced to, what we have previously accepted. This would not be a bad ideal for intellectual life of all sorts. The scientific enterprise is corporate… It is never one individual that goes through all the steps in the logico-deductive chain; it is a group of individuals, dividing their labour but continuously and jealously checking each other’s contributions. The cliché of scientific prose betrays itself: “Hence we arrive at the conclusion that…” The audience to which scientific publications are addressed is not passive; by its cheering or booing, its bouquets and brickbats, it actively controls the substance of the communications that it receives. Zircon crystals are currently under investigation, and in this case researchers are being gratifyingly showered with bouquets. They have collectively arrived at the conclusion that the age and composition of the crystals can mean only one thing: that while the earth may just possibly have been a fiery hell incompatible with life 4.5 billion years ago, there’s a good chance that it was already rather cool and watery only 100 million years later—much earlier than expected. The report in October’s Scientific American tells how the research has involved ground-level geology in Western Australia, fossicking in the Jack Hills 800 miles north of the city of Perth. Tiny barely visible grains are all there is to work with (though they come from bigger rocks that are yet to be found), and the process by which these are dated is set out, along with the Scientific American’s usual superb illustrations, by principal investigator John W. Valley. 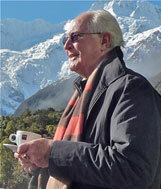 Valley’s dating of the crystals was made possible by earlier work by William Compston at the Australian National University, whose group invented an instrument called the Sensitive High-Resolution Ion Micro Probe. A one-time doctoral student of Valley’s at Colgate University was also involved. Visits to other researchers at the University of Edinburgh confirmed that the zircon crystals (because of their high oxygen isotope ratios) must have formed in an environment of liquid water and low temperatures, with a climate “more like a sauna than a Hadean fireball.” More and more men and women are working internationally on zircon-dating and related matters, in Perth, Canberra, Beijing, Los Angeles, Edinburgh, Stockholm, and in Nancy, France; tens of thousands of crystals have been fed into ion microprobes; and as this growing army of investigators arrive at a consensus regarding the age of these tiny bits of mineral, publishing refereed papers in journals worldwide—“continuously and jealously checking each other’s contributions”, as Ziman says—the picture of our early world is changing. The facts demonstrate that a healthy scientific community can accommodate intellectual controversy without breaking down. Consider, for example, the history of Wegener’s hypothesis of continental drift. Here was an immense revolution of thought, grossly overdue despite the almost pathological conservatism that had to be overcome by its advocates. Yet by the standards of most human institutions, academic as well as overtly political, it was a very gentlemanly affair, in which the evolution of scientific knowledge was not disgraced by silenced voices or broken heads. Although the majority of the leading geologists of the time were unconvinced by Wegener’s theory, and no doubt cautioned their students against it, it was not suppressed and forbidden as ‘heresy’. There were several set-piece public debates and conferences on the subject, and books and papers supporting Wegener’s interpretation continued to be published. It is likely that some of the protagonists did not fare quite so well in their academic careers as hindsight would now consider deserving; but when, eventually, new evidence from rock magnetism vindicated Wegener’s bold and imaginative hypothesis, the ‘old gang’ were not swept into scholarly oblivion by the ‘revolutionary’ supporters of the new orthodoxy of plate tectonics. This truly remarkable and civilized behavior amongst scientists we take for granted: these are the standards against which occasional pathologies are judged. And if those who rule society—aristocrats or democrats, capitalists or socialists, conservatives or radicals—want scientific knowledge on which they can rely, they must not allow the inner tension of science to slacken, break, or overbalance. According to the narrow logic of bureaucratic planning, it is a wasteful, irrational system that ought to be made efficient and economical. But by encouraging innovation, yet conserving past achievement, by calling the gambling competitive spirit from each of us, yet making us also the guardians of truth and the judges of quality, it is remarkably successful as the source of many wonders.